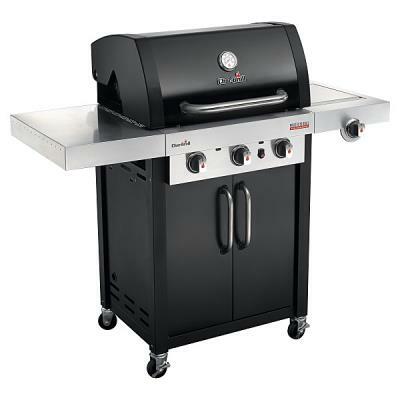 Mont Alpi 400 Deluxe Stainless Barbeque has all the features even a proffesional chef would ask for. 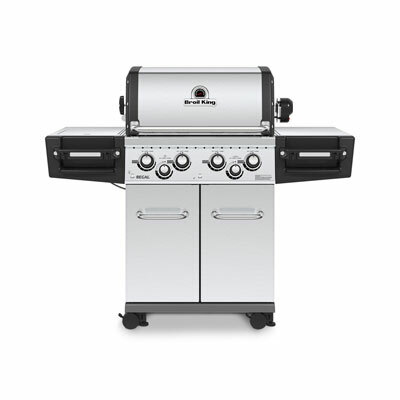 The 400's primary cooking area is served by four main powerfull 304 grade stainless steel burners providing accurate cooking power. Cook upto 3 chickens on the mains powered rotisserie whilst the rear Infrared Ceramic burner cooks the birds to perfection. Storage is plentiful on the Alpi 400 delux with 4 draws and the tank storage bay keeping all your tools safe when not in use. As the evening draws in and the light goes down dont panic as with 2 internal Halogen lights and the control knobs lit with Ble LED lights you ll see all that you need. With the Mont Alpi being made from premium 304 grade stainless steel and the Barbeque coming 99% built you ll be impressing your friends on no time.  Four main 304 Stainless Steel Tube Burners.  Ceramic Infrared Rear Burner. 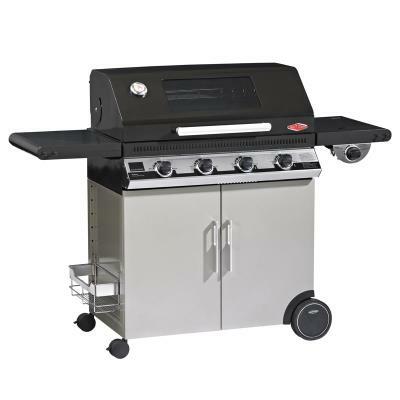  Propane Hose and Regulator included.